Pants Up Easy is a unique system that eliminates one of the most problematic issues with using the toilet and getting dressed for people with disabilities. Pulling their pants up. This system provides a safe way of lifting one's self enough to pull their pants up. No more rocking back and forth, side to side, a sometimes painful and dangerous problem. Its brilliance lies in the simple way the pad support system lifts the user up from the seat with their hands free to reach down pull up their pants. The Pants Up Easy system alleviates the heavy lifting for care givers and unnecessary transfers from the toilet to the wheelchair to the bed, and finally back to the wheelchair, while maintaining the privacy and dignity of the user. 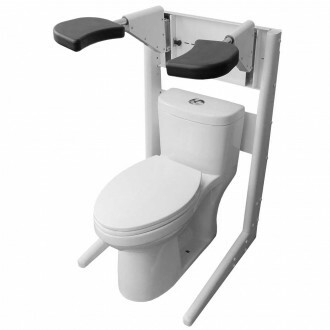 Pants Up Easy Wall Frame Model is engineered to be placed behind the toilet, and marries up with the same Wall Mount system to work in the exact same way. 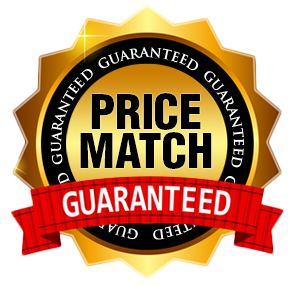 The difference is the Wall Frame Model does not need to be installed by a licensed contractor.